We’re very happy to announce the alpha release of Drupal.org’s Composer repositories. 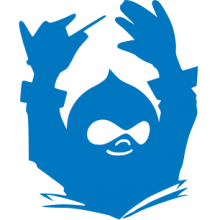 One of our Community Initiatives for 2016, adding Composer repositories to Drupal.org, has been a concerted effort here at the Association for the past several months. Composer isthe tool for dependency management in PHP, and by using Drupal.org’s Composer endpoints you can use Composer to manage Drupal modules and themes. 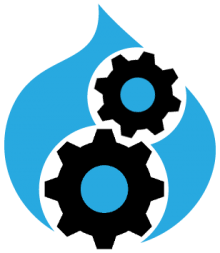 The Drupal.org Composer façade also handles the translation of Drupal.org versioning into the semver format that Composer needs, which should also allow the community to move forward choosing a semver format for contrib. For example, we could now fairly easily support a Platform.Major.Minor.Patch versioning scheme until the semver standard itselfsupports the same. In April, our lead designer, DyanneNova, outlined the new design system and principleswe’re using in all of our work to improve Drupal.org. Our most significant undertaking is the long term restructuring of Drupal.org, which will be implemented in an iterative way as we work through the many different content areas of Drupal.org. The next area of Drupal.org to receive updates, as previewed in the post above, will be Documentation. In our March update, we teased some of the upcoming Documentation features, and talked about the usability testing we performed at DrupalCamp London, and in the Drupal Association office here in Portland. In April, we took our observations from the usability testing, and began implementing these new features. We’ll be previewing these upcoming changes in more detail at DrupalCon New Orleans next week, so stay tuned! In April, we began the build-out of a new staging infrastructure for Drupal.org, part of the continual process of upgrading and refining the tools we use to develop Drupal.org. At the same time, we’ve updated several of our management and automation tools to keep our stack running smoothly. Work refining our pre-production environments will continue into May.